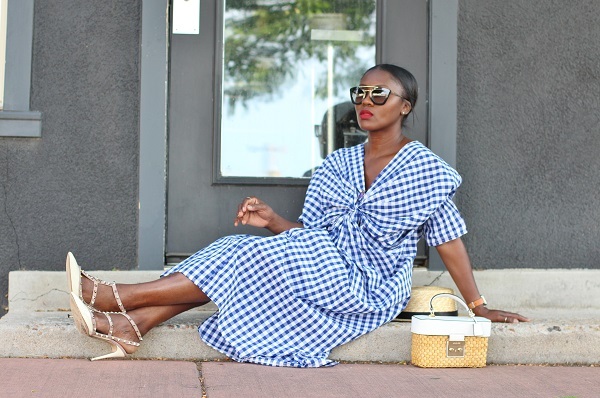 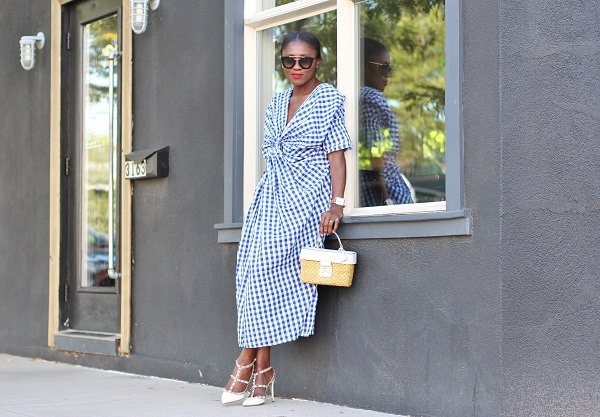 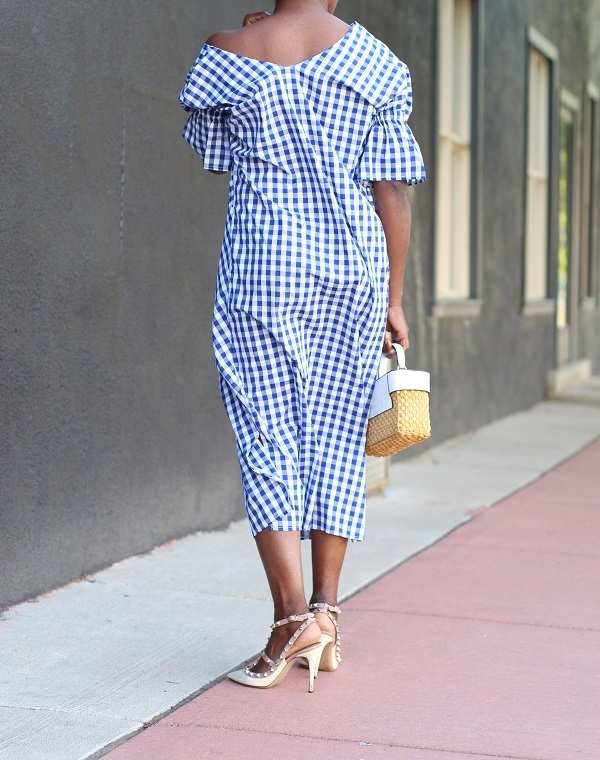 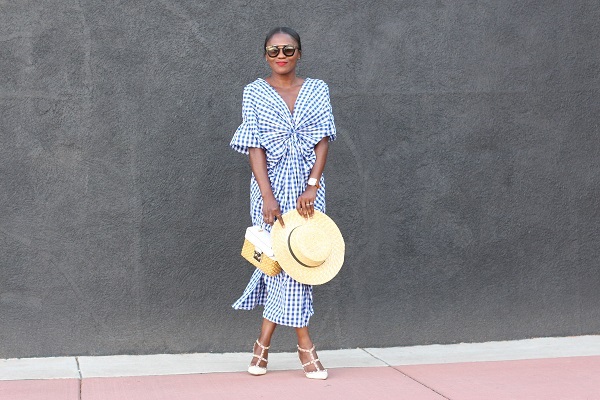 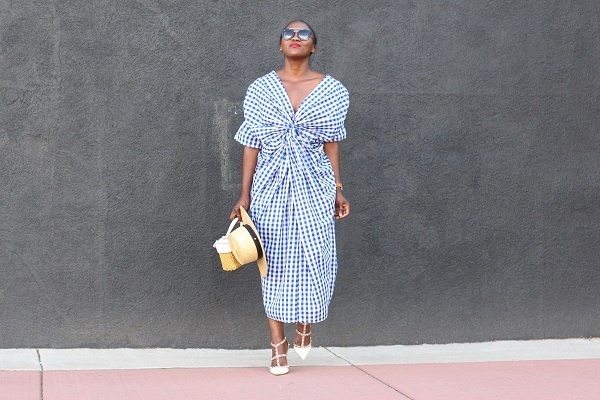 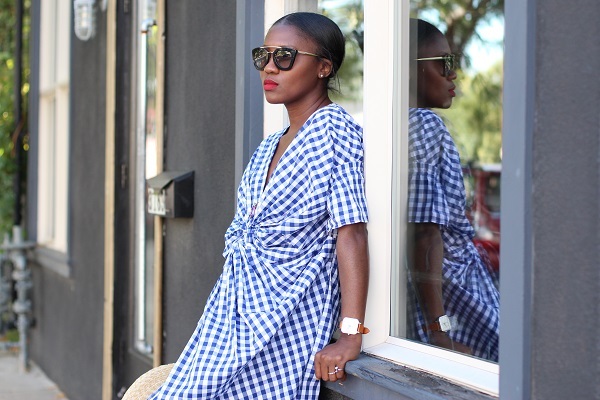 Starting the week off in this blue gingham dress. 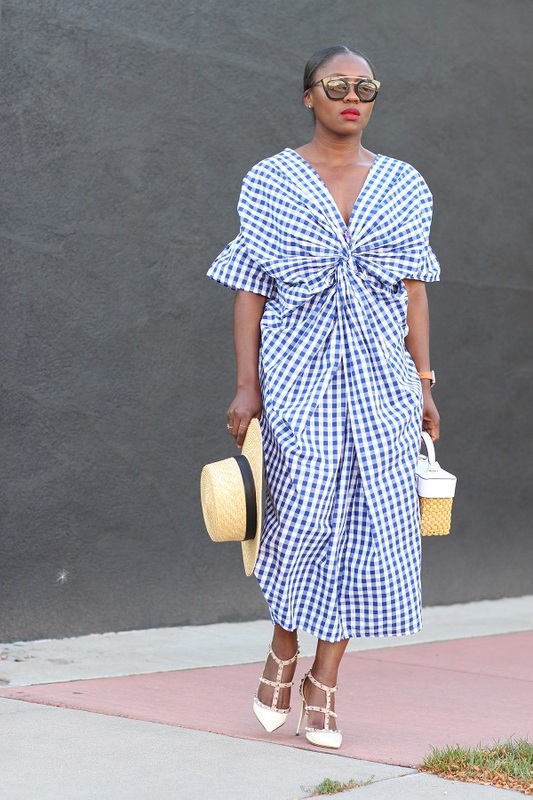 It’s light-weight, slightly architectural and just plain cool; it embodies a lot of qualities I hope a piece would have. 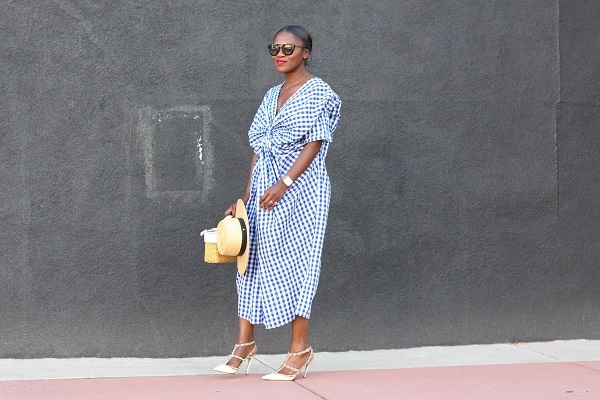 Though not too busy, it’s definitely a statement piece so I chose simpler pieces to accompany it. 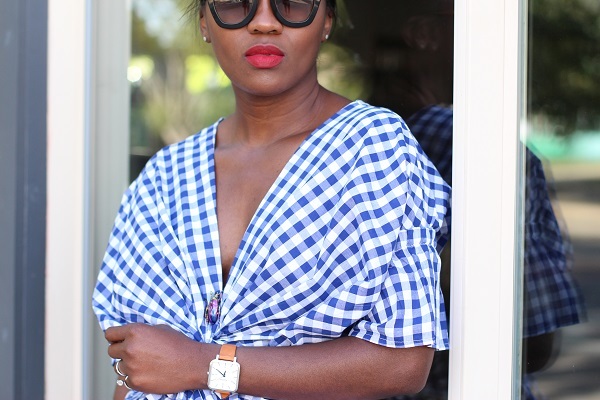 I wore this dress back to the front because I felt it looks cooler that way, don’t you agree? 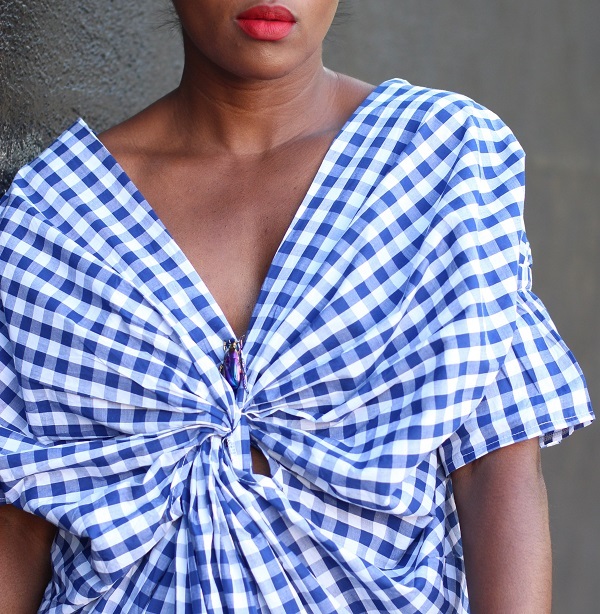 Just add a pin for a better fit on the front to avoid any wardrobe malfunctions. 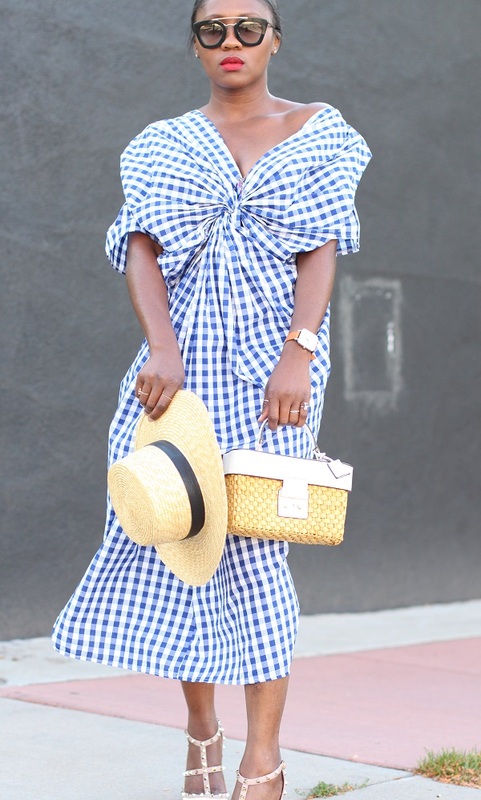 Won’t you go ahead and catch the cool dress bug with me.